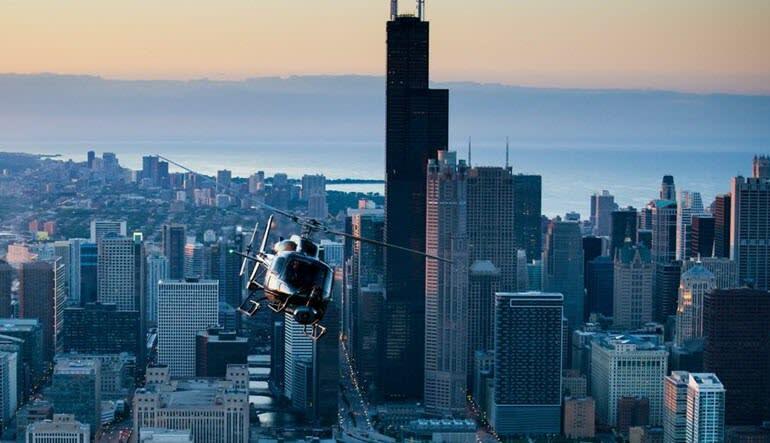 If you’re looking for an experience with real jet-setter attitude, forget the star treatment—this Chicago helicopter tour lets you fly a helicopter as you share controls with the pilot! Nothing says style like an urban helicopter flight. We’ve all seen those classic images of Rat Packers and Holywood starlets emerging from a chopper, dressed to the nines. Big cities like Chicago often serve as the backdrop. 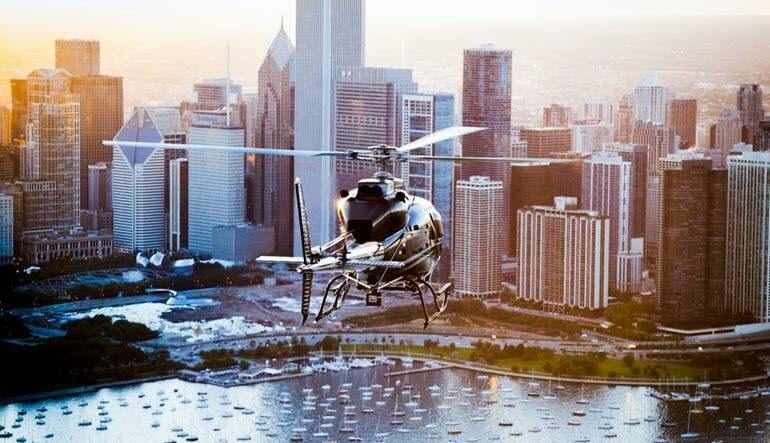 But if you’re looking for an experience with real jet-setter attitude, forget the star treatment—this Chicago helicopter tour lets you fly a helicopter as you share controls with the pilot! You ARE the star! Yes, the big city sites are all here. But rather than just kick back and take in the scenery, you’re the one in the pilot’s seat! Fly a helicopter Chicago-style and explore all the towering architecture and points of interest that make the Second City first in class! 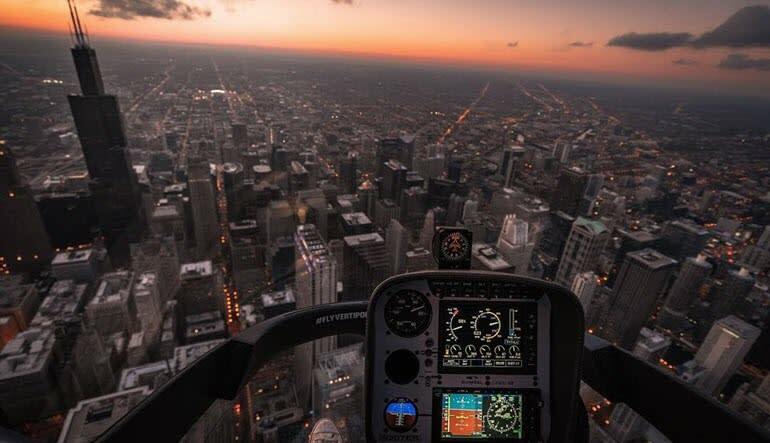 Share controls of a helicopter over Chicago’s skyline! Begin the helicopter flight experience with a thorough training session. Getting a hang of it is easier than you think—you’ll be ready for takeoff in a mere 30 minutes! Feast your eyes on the architecture: Willis Tower, Trump Tower, John Hancock Center and more! Navigate your chopper to Navy Pier! See the Adler Planetarium and Field Museum from the cockpit! There’s nothing to fear—if you’re unsure of anything, your co-pilot can take over anytime. It’s a totally safe experience but one that nevertheless guarantees the thrill of a lifetime—book today!